Those of you with a still-functioning memory may recall that last issue we put together a giant Japanese collector car value guide. Very nice it was, too. Lots of interesting cars, buyer guides and pricing numbers to start limitless ‘what’s it worth’ debates. Great fun. But there’s a catch. By far the biggest danger involved in working on a mag is the constant and apparently limitless parade of temptation that passes your eyes. It’s the cars that come up for sale, the stories that talk about their triumphs and flaws, and the wonderful journey of ownership. Eventually it gets under your skin and you crack… and buy something. In fact I mentioned last month that muggins was in the hunt for something Japanese to add to the stable. The possibilities were endless, ranging from a big roly-poly chrome bumper Toyota Crown, through to the somewhat obscure but fascinating Honda Coupe 9 that featured in one of the classifieds on the cover. After flitting around the raft of options like a grasshopper on speed, I eventually settled somewhere in between those two extremes and coughed up with a modest amount of cash. Yep, $3250 for what seems like a very tidy and original Soarer Limited, or UZZ31 in Toyota-speak, badged as a Lexus SC400. This was the top-end corporate coupe back in the day. The only way you could add on more goodies was by ordering the UZZ32 – which is very rare – that stacks on an extra 110kilos of gear to run the computer-controlled four-wheel steering and active suspension. For a few thousand we’ve got the famously tough 4.0lt Lexus V8 in the snout, four-speed auto, adjustable air suspension, wall-to-wall leather and timber, climate control plus a very early touchscreen and satnav. Keep in mind it was built in 1991. And yes, it’s old enough to be put on club plates in Vic. By the way, I paid full price, and it comes with a roadworthy plus enough rego left to drive it back to sunny Melb from the Gold Coast in Queensland. The catch? 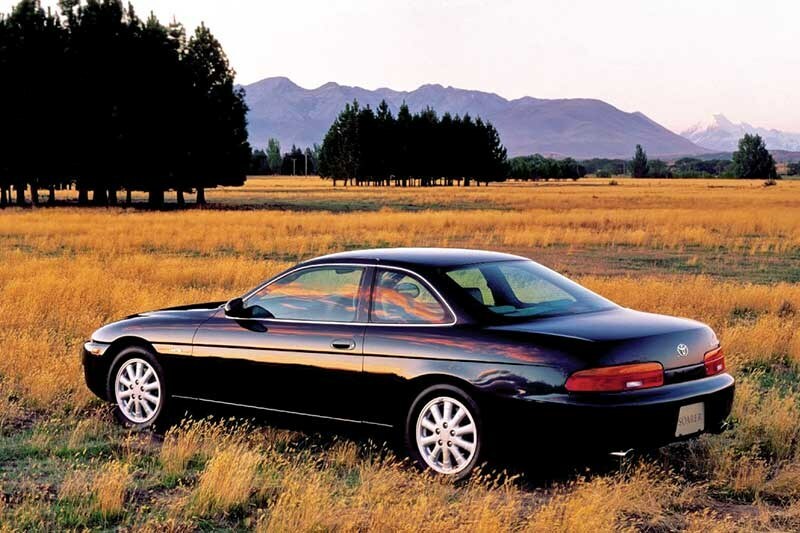 It’s got a lot of miles under its wheels – some 350,000km. However those in the know, including Morley, tell me this is a million kay engine when looked after. This example has service records pretty much the whole way through and has been owned by a now retiring couple pretty much since it was imported around 2001. 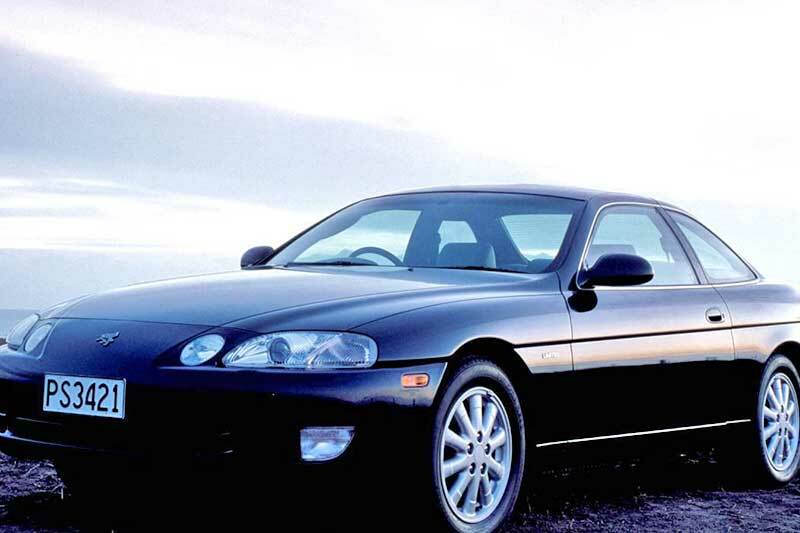 Some of you may recall these toys – in Soarer or Lexus form – being a hot item in the market around 15-20 years ago, though they were always used grey imports. Toyota didn’t see a big enough market for the new cars, not at the sky-high prices they would have been at the time. Having a bullet-proof V8 in the snout has been a blessing and a curse for these things. They have a reputation for being ultra-solid, but have also proved popular for lowering, big rubber, giant bass units and amateur late-night drift competitions. This one, thanks to its current owners, has spent much of that time slumbering under a car cover in its garage, blissfully unaware of how close it was to a very different fate. Of course I’ve bought it sight-unseen, which flummoxed the sellers, but I’m comfortable with the decision. One of the things that sold me, apart from the service records and paperwork, was the immaculate house in the background of the photos, with a lawn that I suspect was trimmed with scissors. That rounded out an overall impression that the deal was genuine. Buying a cheap old luxo car, a lowliner, and cruising off into the sunset has a lot of appeal. We’ll see if reality matches the dream. We pick it up in July and will cruise on back over a few days… wish us luck.